Our exclusive showcase exhibition brings together the best technology and service providers, as well as operators, who will be presenting the latest products and services available to the mail and express industry. International online sales are booming and this poses enormous challenges not just for letter and parcel services but distribution centers too, which are groaning under the pressure of increasing parcel volumes, shorter and shorter delivery times and the ever-greater variety of products. In order to be able to deliver packets and parcels to their recipients as quickly and reliably as possible, sorting centers require efficient and flexible solutions. BÖWE SYSTEC solutions automate the entire process chain – from goods receiving via sorting to shipping. No matter what challenges you have to face – we will never stop optimizing your processes with our sophisticated systems and smart software solutions. We are your One-Stop Shop. ConveyorTek is one of Europe’s leading conveyor system manufacturers, supplying modular conveyors, automated conveyor systems and fully bespoke designs for bulk handling and unit handling industries, as well as metal separation products for both ferrous and non-ferrous metal recovery. With the company experiencing rapid global growth since its establishment in 2009, further expansion has created new facilities and the opportunity to develop our product range. We are now leading the way with the introduction of an Immersive Technologies Division, focusing on the use of Augmented Reality. This innovative step allows ConveyorTek to continue forward thinking into future design, and development of our parcel sortation technology, conveyors and metal separation range. Escher is a global technology company delivering point of service solutions that are transforming how the Posts throughout the world engage and interact with their customers. Escher brings together posts, businesses, governments and communities in an open and collaborative manner, solving tomorrow’s toughest challenges in the digital age of retail. We strive to lead in the creation and development of point of service solutions for some of the largest retail and information networks across the globe. Escher’s single, open platform technology provides our customers with a solid foundation for future digital innovation and expansion. It enables organizations to build upon their current infrastructure and to implement applications that are all managed and supported by one transactional services platform. Escher is a global market leader in providing intelligent and integrated point of service applications across all channels including counters, web, kiosk, enterprise mobile & consumer mobile. At Fastway, we offer a cost effective and reliable courier service, backed up by the latest technology and tracking facilities, making Fastway Couriers the ideal choice for individual consumers, STM businesses as well as leading international e-tailers. With more than 250 franchise partners across Ireland, from Cork to Belfast and everywhere in between, our commitment to delight our customers at every point in their parcel’s journey is what sets us apart from our competitors. We believe in making the process of using a courier service easy, comfortable and convenient for our customers – we can deliver on that promise thanks to the dedication of our franchise partners and their ongoing commitment to provide an unrivalled level of customer care. Additionally, our network of Parcel Connect stores allows businesses to offer a Returns, and Click and Collect service to customers. With a choice of over 1,000 locations nationwide Parcel Connect is Ireland’s leading PUDO parcel service. Honeywell Sensing and Productivity Solutions (S&PS) is a global leader providing custom-engineered sensors, switches and controls, and productivity solutions built around our high performance data collection hardware including rugged mobile computers, voice-enabled software, bar code scanners, radio frequency identification (RFID) and workflow printing solutions. Our solutions serve customers in aerospace, automotive, field service, healthcare, industrial, manufacturing, medical, retail, supply chain, test and measurement, and transportation and logistics markets. We provide unparalleled precision and durability that improves efficiency, increases operational productivity and enhances customer service capabilities. For more information on Honeywell sensing products, visit our website. Mosaic Online Systems is a leading provider of software solutions to the mailing industry, delivering enterprise level systems to Royal Mail and other customers. It operates the DocketHUB managed services platform, supporting clients, posters, carriers and Royal Mail to work together as a cost-effective supply chain. Mosaic provide Sortation tools, Mobility solutions, Automation Integration and Management Information Systems across the end-to end mail handling process. Open Pricer enables parcels networks to optimise and effectively manage prices to reach profitable growth with a typical effect of 2 to 3 points of additional net margin. We have developed an in-depth knowledge of your business by working with market leaders. We can help you improve pricing strategy, optimise price increase campaigns, build accurate quotes and effectively monitor customer contracts. Palletways is Europe’s largest pallet delivery network. With over 400 depots strategically positioned across 20 countries, we’re unrivalled in our ability to connect your business to the continent. Our growing pallet delivery network now delivers up to 40,000 pallets every day with the help of over 400 partner network members. We combine both our resources and connections to ensure goods are delivered fast and efficiently, leaving our customers to focus on growing and managing their businesses. We are the pallet delivery partner of choice! Pitney Bowes®, a global ecommerce leader and partner of the USPS®, powers billions of transactions – physical and digital – in the connected and borderless world of commerce. Clients around the world, including 90 percent of the Fortune 500, rely on solutions, services and data from Pitney Bowes for all aspects of the customer journey including cross border ecommerce, marketplaces, shipping, location intelligence, mailing and more. Collaborating with the U.S Postal Service® allows Pitney Bowes to specialize in U.S. outbound and inbound USPS parcel, Priority Mail® and Parcel Select® services. PostLocal® is an SME focused marketplace and payments solution. Based in Dublin, Ireland, it provides SME’s with an omni-channel website and promotion on a location focused marketplace, allowing consumers to connect with SME’s in their community. The solution is designed to help SME’s sell online quickly, easily and cohesively while driving growth for postal and logistics partners through transactions and parcel deliveries and includes location relevant search for click and collect or delivery as required. PRIME is 147 Designated Postal Operators working together to deliver cross-border tracked packet solutions for the e-commerce market. Stamps.com/Endicia is a technology company that helps businesses of any size maximize the efficiency of their shipping processes while reducing shipping costs. Our years of shipping experience and long-time partnership with the U.S. Postal Service enable us to provide the easiest and most efficient way to integrate low USPS rates into the workflow while providing the features and services necessary to solve fulfillment and shipping challenges. And, for businesses that want to grow internationally, we offer a global shipping and carrier service especially designed to simplify international shipping while providing features that cannot be found elsewhere. 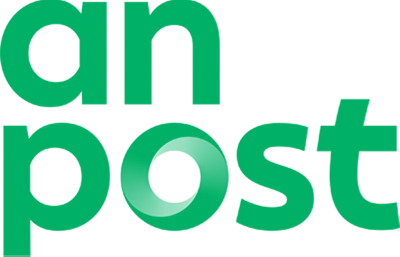 Transland Group is one of Ireland’s leading transport and logistics companies. With access to over depots strategically positioned across 20 countries, we’re unrivalled in our ability to connect your business to the continent. Our growing pallet delivery network now delivers up to 40,000 pallets every day with the help of over 400 partner network members. We combine both our resources and connections to ensure goods are delivered fast and efficiently, leaving our customers to focus on growing and managing their businesses. We are the pallet delivery partner of choice! Vanderlande is the global market leader for value-added logistic process automation at airports and in the parcel market. Vanderlande sort in excess of 39 million parcels daily and have installed systems for the worlds leading parcel companies. Established in 1949 Vanderlande has more than 5,500 employees across the globe with an annual turnover in excess of €1.4m. Vanderlande focuses on the optimisation of its customers’ business processes and competitive positions. Through close cooperation, it strives for the improvement of their operational activities and the expansion of their logistical achievements. Vanderlande’s extensive portfolio of integrated solutions – innovative systems, intelligent software and life-cycle services – results in the realisation of fast, reliable and efficient automation technology. Vanderlande continues to invest in research and development extensively to develop existing solutions and in the development of new market leading concepts aimed at providing our customers with world class leading solutions. Zebra (NASDAQ: ZBRA) empowers the front line of business in retail/ecommerce, manufacturing, transportation and logistics, healthcare and other industries to achieve a performance edge. We deliver industry-tailored, end-to-end solutions that intelligently connect people, assets and data to help our customers make business-critical decisions. Our market-leading solutions elevate the shopping experience, track and manage inventory as well as improve supply chain efficiency and patient care. Ranked on Forbes’ list of America’s Best Employers for the last three years, Zebra helps our customers capture their edge. For more information, visit www.zebra.com. 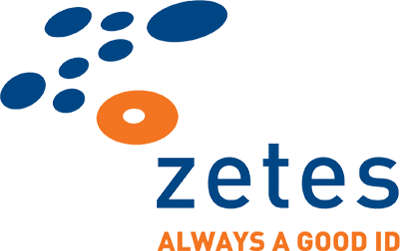 Zetes is an innovative supply chain technology company. We work in close collaboration with our customers to unlock greater potential through agility, visibility and traceability in their connected supply chain. For more than 30 years we have been a trusted adviser to leading supply chain companies across EMEA. In 2017 we joined the Panasonic Corporation, operating as a wholly owned independent subsidiary. Our supply chain solutions help you achieve agility, visibility and traceability across your connected supply chain. From the packaging line and the warehouse through to the store, we help you enable faster and more accurate process execution with real-time insight and control at your fingertips. The World Mail & Express Series brings together some of the biggest names in the delivery industry. Why not position your brand as a leader at Europe’s premier delivery conference?